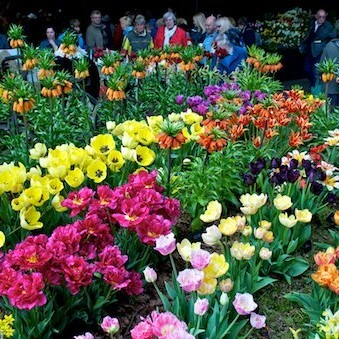 Harrogate Spring Flower Show is the first big event in the gardening calendar, welcoming the new growing season with a spectacular celebration of the very best in horticulture. Rated Britain's top gardening event by Which?, this prestigious event features beautiful show gardens, the very latest in gardening trends, great shopping, live entertainment and the biggest exhibition by florists and flower arrangers in the country. Take home the very latest in design ideas from talented landscapers creating beautiful 2019 spring show gardens. Stroll along The Avenue to see large-scale professional gardens and explore Community Spirit for 'message in a garden' entries. Over 100 leading plant nurseries. From acers to air plants and chrysanthemums to carnivores there is a vast range to choose from, plus wonderful displays of plants and flowers created especially for the show.